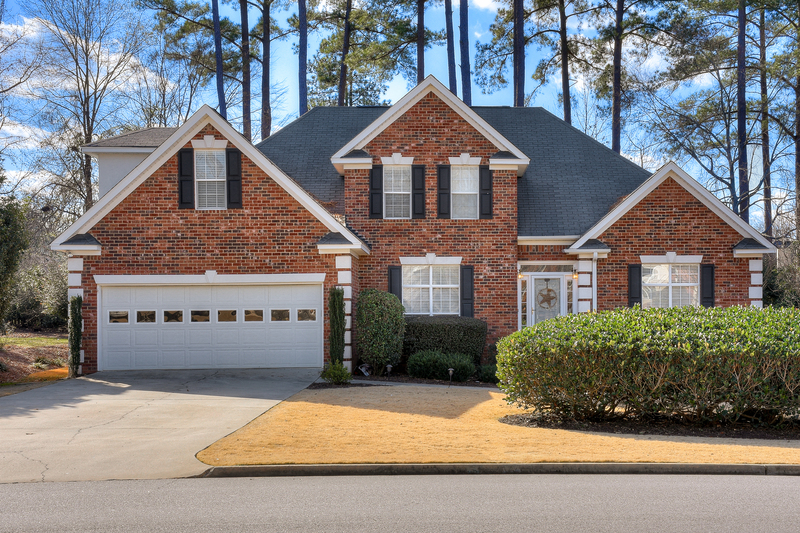 Welcome home to this beautiful 2 story brick home featuring 4 bedrooms, 2.5 bathrooms with the owner suite downstairs. The main level offers a foyer with hardwood floors that lead into an elegant dining room with crown molding, and wainscotting. The gourmet kitchen has beautiful granite countertops, an island with plenty of counter & cabinet space for storage. Built-in wall oven and microwave. The large eat-in kitchen area has a great view of the backyard. The kitchen opens to the great room with a vaulted ceiling and a charming mantel and fireplace. Large owner suite with a tray ceiling leads and a spacious bathroom with tile floors, dual vanities, jetted tub and separate shower. Hardwood floors throughout the foyer, dining room, great room, and kitchen. The spacious laundry room with a utility sink, tile flooring, and great counter/cabinet space will not disappoint. 3 bedrooms and 1 bathroom upstairs. Flat beautiful backyard with large deck. Landscaped yard with sprinkler system.